Today I am going to do a quick little video for you when it comes to 2 Stretches that could be irritating your back. Oftentimes when I head to the gym I see people doing these stretches wrong. It might be benefiting one area but then irritating another, specifically the back. The first stretch I will get Orsy to do the Standing Quad Stretch. Standing and bringing the heel towards the seat. You see she got good alignment with the head, shoulders, hips, and knee. A common mistake that people make is they do over arching through the back. And that arching through the back puts unnecessary stress on the back. She might be getting a stretch in the quads but compromising the back. 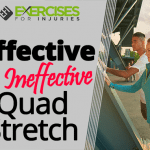 You really want to make sure that you have them in good alignment, just stretching out the quads and not irritating the back. 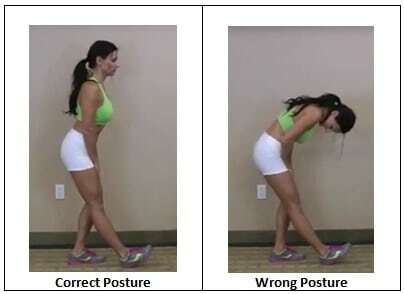 The second is the Standing Hamstring Stretch. Leg out front, bending through the hips, stretching out the hamstrings and Orsy got it right with good alignment on her head, shoulders, and hips. And then good alignment with the hips, knees, foot, and stretching out the hamstring area. What a lot of times people do is they are stretching the hamstrings and they will round out their back. And that rounding out of the back puts way too much stress on the back. You get one stretch where people end up over arching which puts undue stress on the back or flexing forward puts stress and irritating the back. 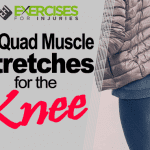 Make sure for yourself or for your clients that you are doing the stretches correctly and you are benefiting the right areas and not injuring and irritating other areas. Give those a go. Make sure to swing by ExercisesforInjuries.com and enter in your injury or pain, there’s a good chance I have an article or a video or an interview on your injury or pain. Also if you are watching this on YouTube, head up above and hit subscribe. What that will do is every couple of days you will get a video like this where I end up talking about injury and pain. Thirdly, head down below and hit LIKE, leave me a comment or a question when it comes to what I have talked about in this video or about your injury and pain. 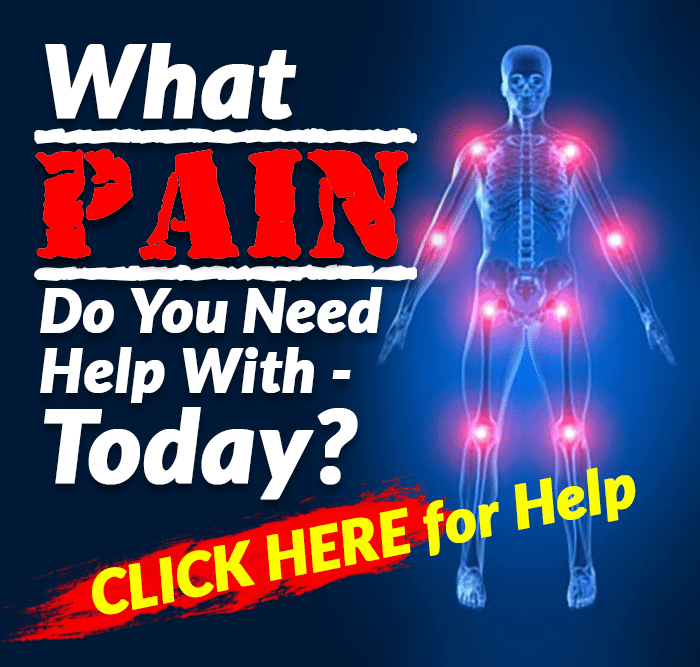 The program we talk about, Fix My Back Pain, will be available for today for friends, fans and subscribers of mine. Fix My Back Pain will be available on ExercisesForInjuries.com, EFI Facebook Fan Page and EFI YouTube channel. It will only be available in those areas for a few days and will not be available to everyone until later this year.